A wire heart is a popular component in wire work. Probably a heart is the very first object to add on crafts for many people. Two hearts mean double hearts, you and I. Three hearts form a clover. Four hearts make a lucky clover. 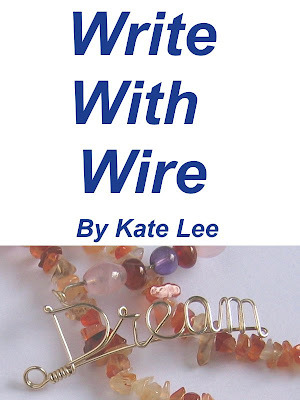 There are more than one ways to form heart with wire. Recently, I tried a new way to make hearts with wire. When I turned the wires up and down and found that heart is just like capital E.
One method can be applied in many forms. Knowing a method well can improve craft-making much. Here are the proof images.